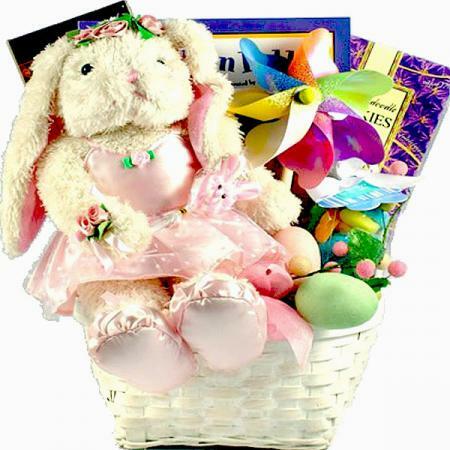 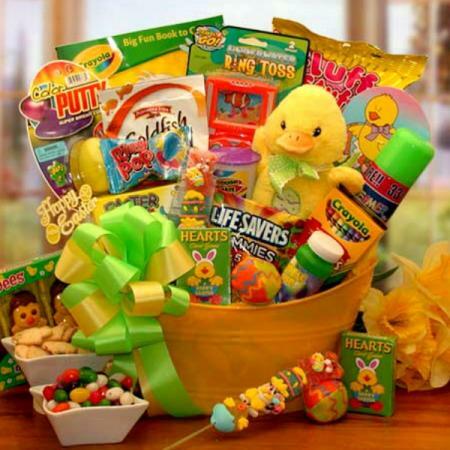 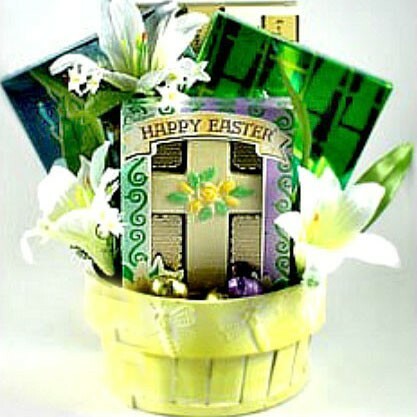 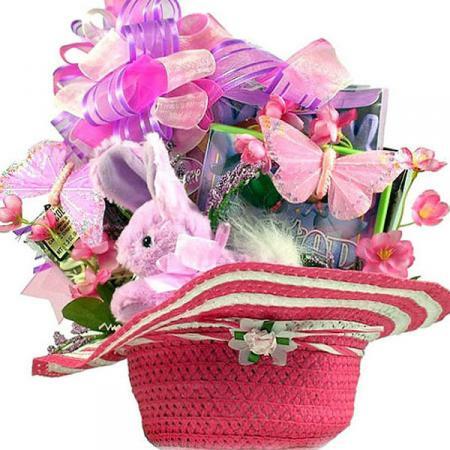 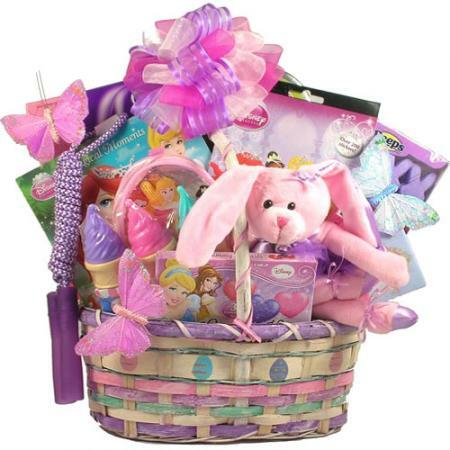 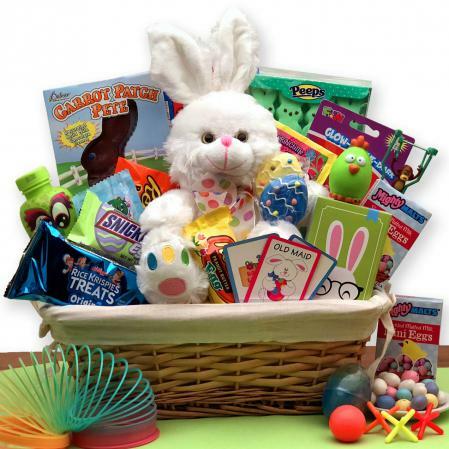 An extraordinary Easter gift package that the kids of all ages will be excited to receive! 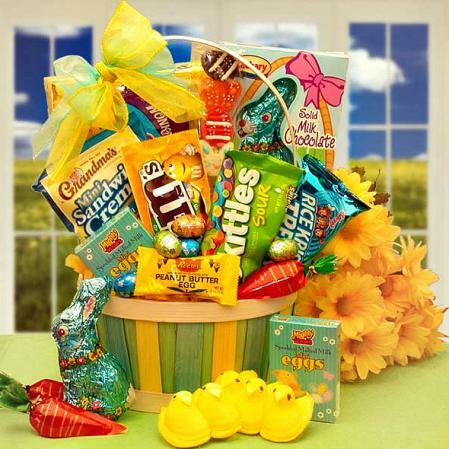 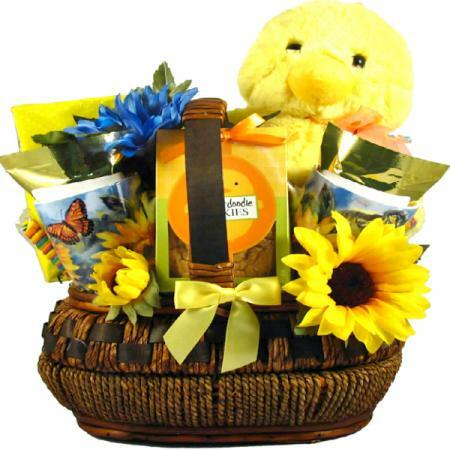 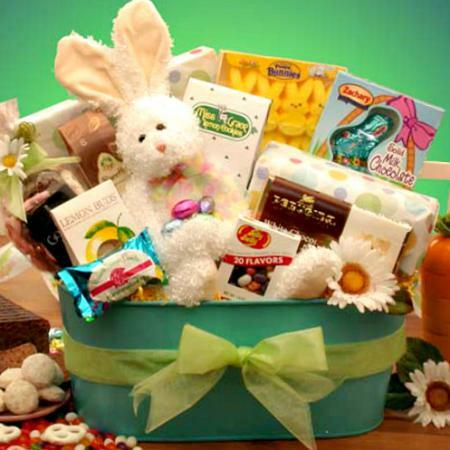 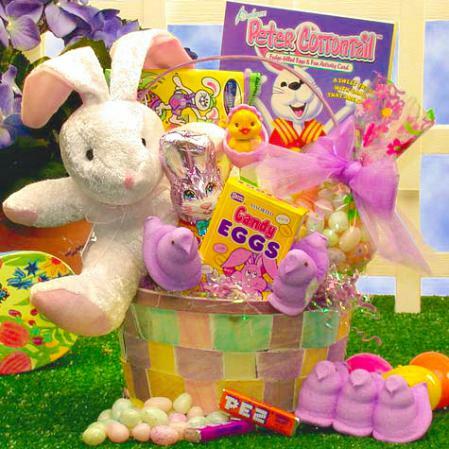 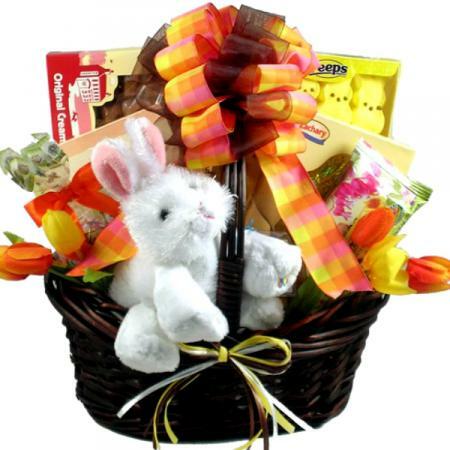 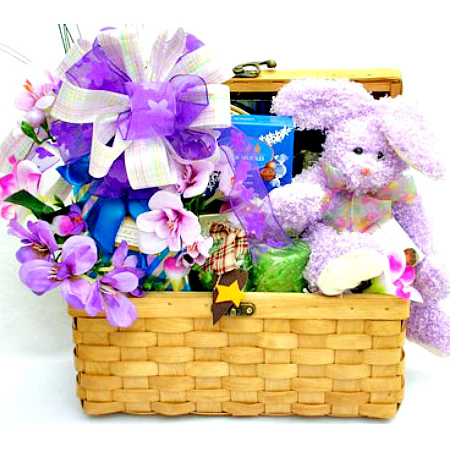 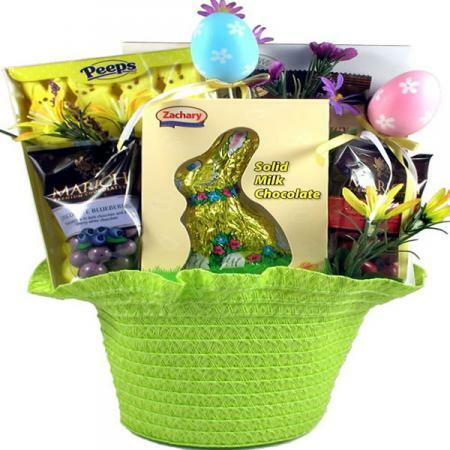 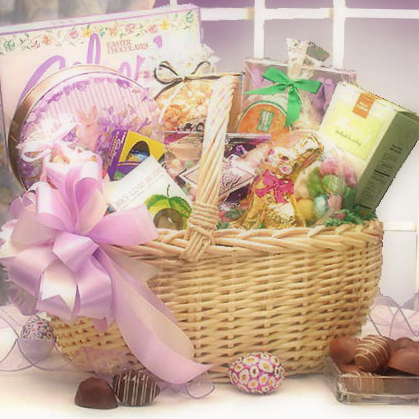 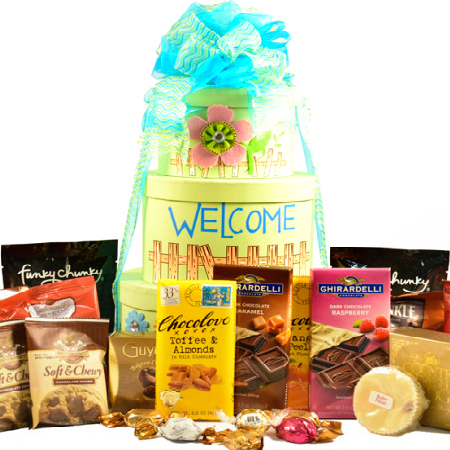 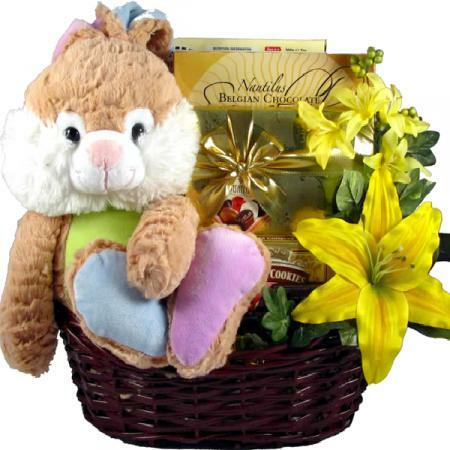 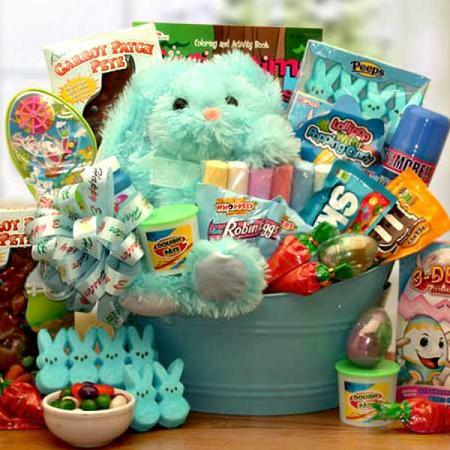 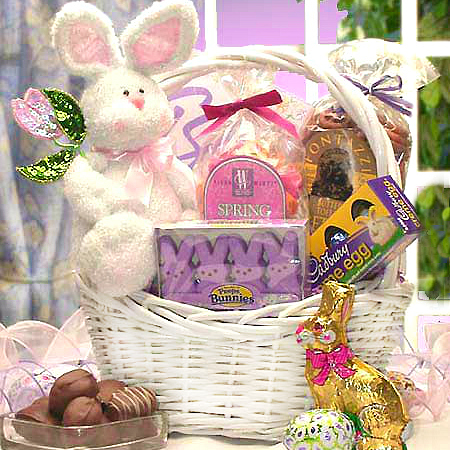 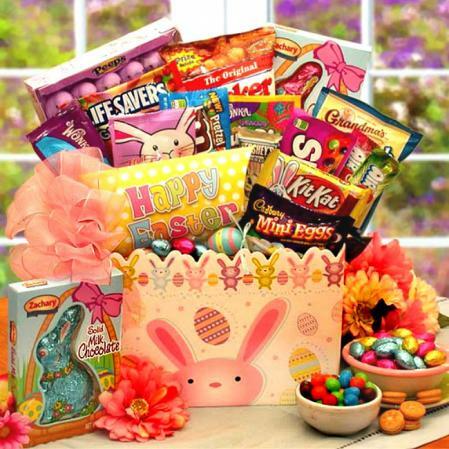 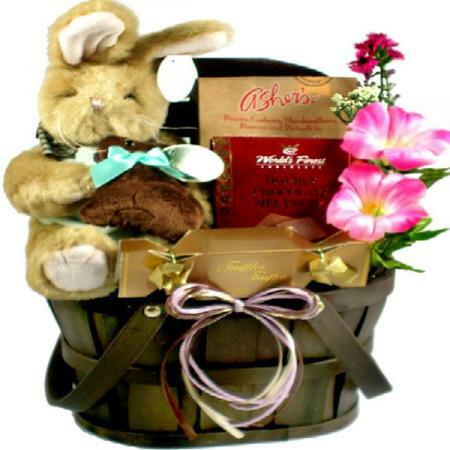 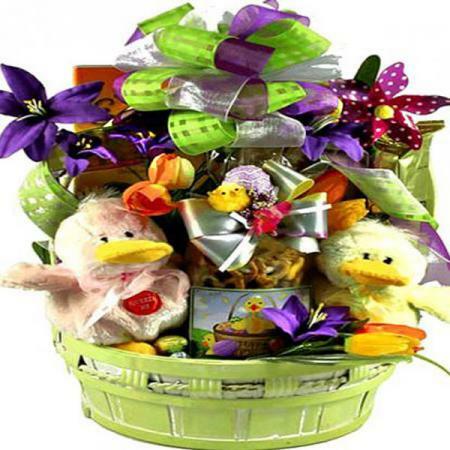 Send this happy Easter care package loaded with tasty Easter treats. 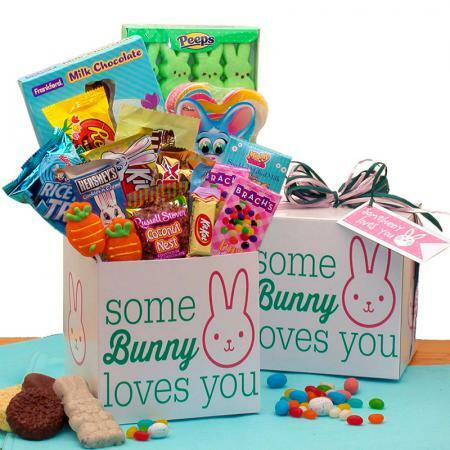 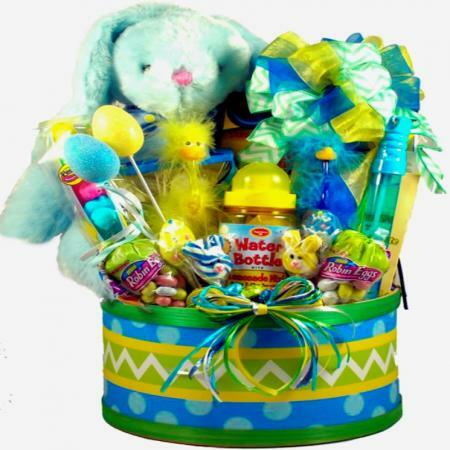 Send this Easter care package packed full of so many wonderful gifts and incredibly delicious goodies! 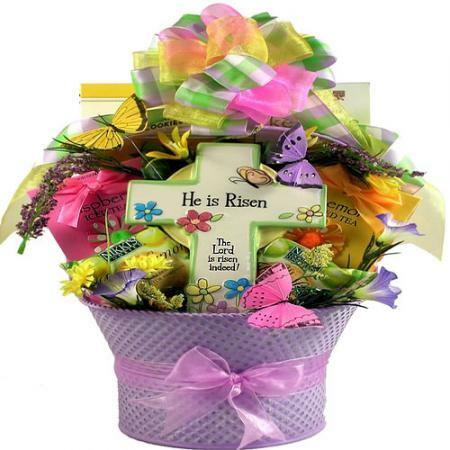 Topped off with a Happy Easter Pick. 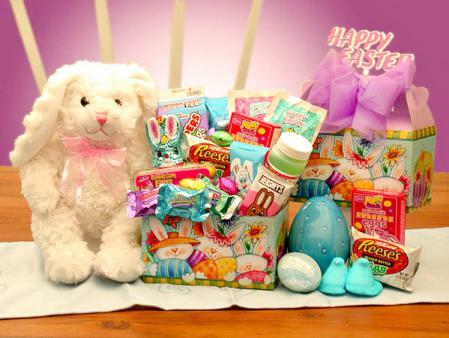 Please note: The color of the bunny may vary depending on availability. 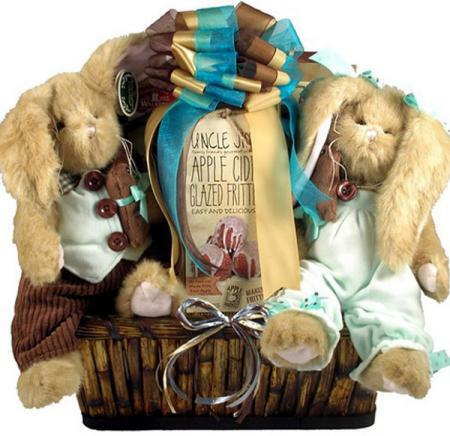 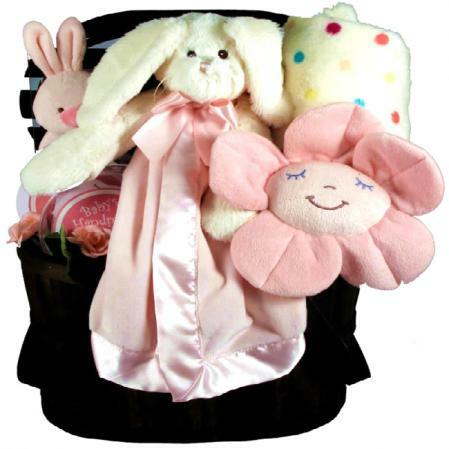 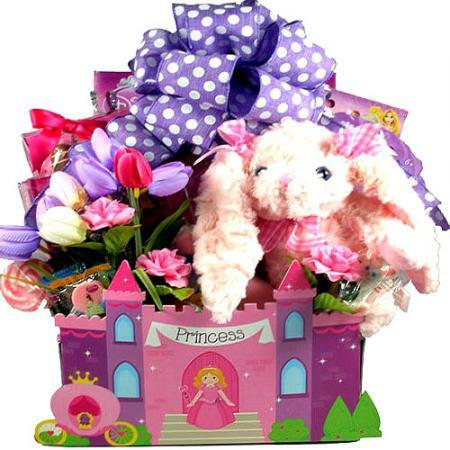 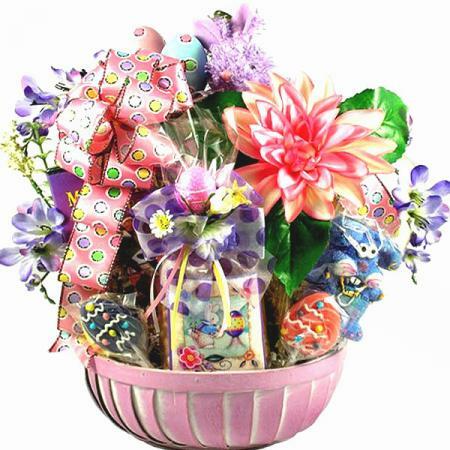 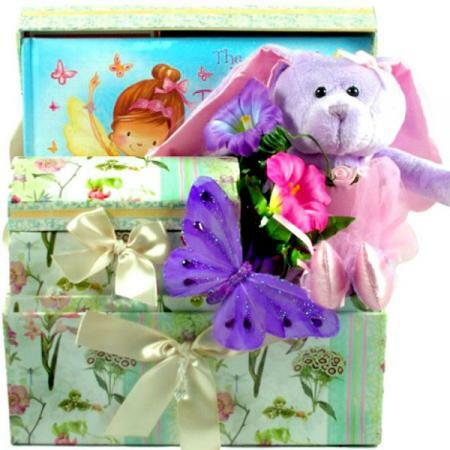 This gift is sure to be a big hit with any special child or family who receives it.